I can't believe it has been since March since my last post. Well, actually... I can believe it. 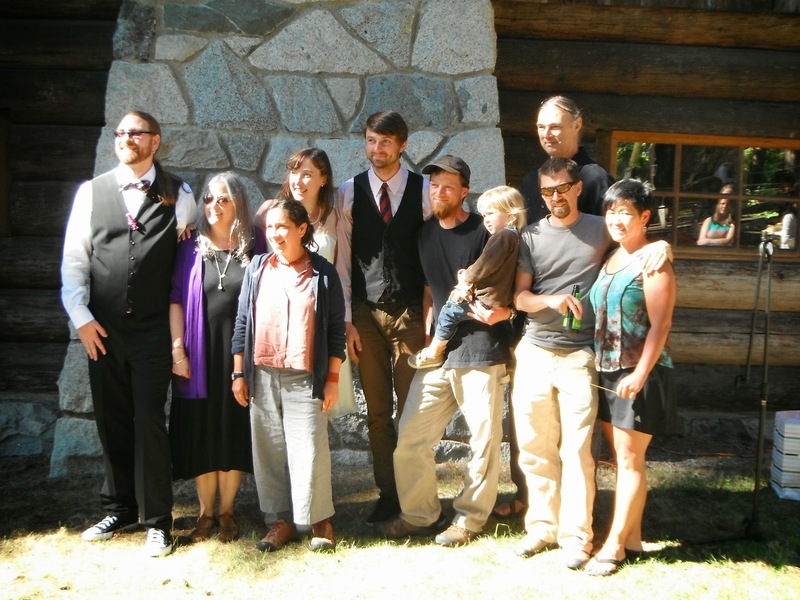 With the wedding and my stepson in town, things on the blog just had to be dropped. Do you know what I learned about the blog while I took a hiatus? My blog stats did NOT drop! In fact, July 2014 was one of my top months. Can you believe that? So if you are worried that your stats will decline from lack of fresh content, don't be. Take the break that you need to deal with real life stuff. The blog can wait. 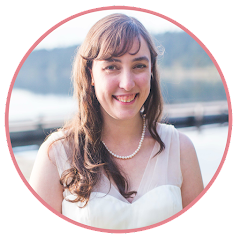 Anywho, now that the wedding is over and done with, I am working on writing some new posts. I need to wait till the honeymoon is over (we are on it right now!) and get more pictures from my father. I have lots of blogging ideas, so hopefully I can get on that ASAP. You may kiss the bride! And yes... our officiant was a pirate! Argh, ye matey! And we took shots of rum during the wedding. Google+ made this awesome gif. My family! They were yelling at the photographer, "hurry up!!!! OMG! Hurry!" LOL! Of course, we were looking at my dads camera (used by a friend) not at the current photographer. Signing the paperwork before ppl get drunk! My younger brother and his youngest sister were our witnesses. 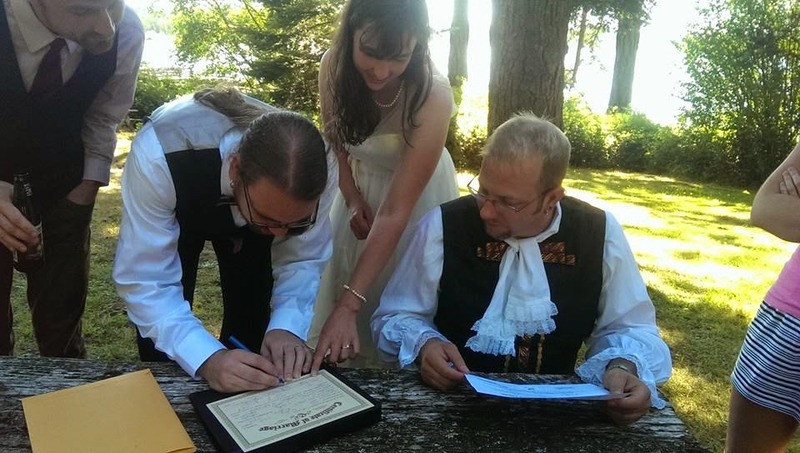 I love this candid picture that the officiants fiance took while we weren't paying attention. 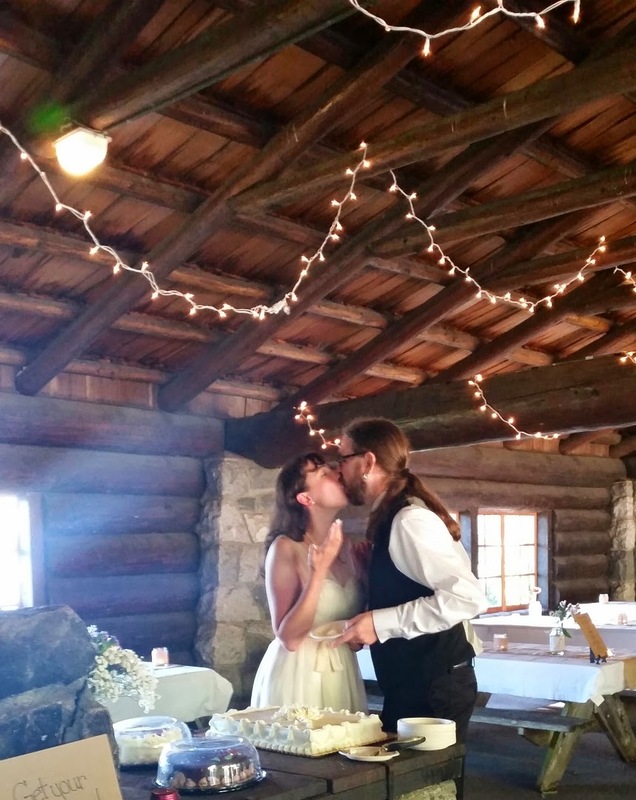 Cake kiss! Everyone was standing to the right of the photographer, so it looks all empty. We had guests. Seriously! Congrats. Looks like a nice time was had by all.